The Truth about Altering Vehicle Wt. Cert. Winter is Finally Over, Let's Go RVing! How Do SRW 2500s and 3500s Differ? Is The 80% Towing Margin Safe? NHTSA Safety Recalls - You need to know! The Basics: What do I Need to Tow it? What are the Benefits of Weighing Twice? What are the Benefits of Weighing? Providing RV safety information for all RV owners. We are the one-stop self-help RV safety information service for novice and experienced RVers. We supply tow ratings, vehicle tow rating reviews, tire load charts, towing guides, RV safety articles and videos, and much more. Our "Before You Buy RV" SAE J2807 compliant RV Tow Check App, and our Truck Camper Load Check App, will assist you with matching up tow vehicles, trailers and truck campers. 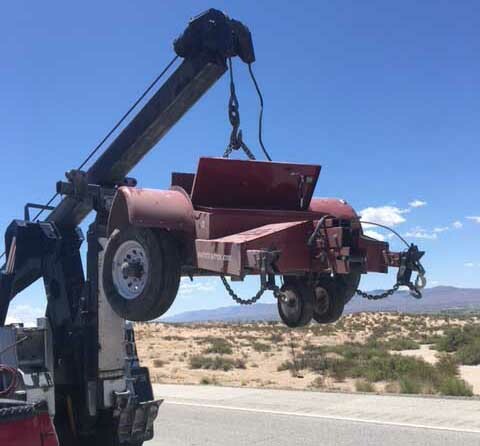 Desktop users can access our free industry-leading 13-point weight safety reports for 5th wheel, gooseneck and conventional trailers that may ensure the weight safety ratings aren't exceeded. 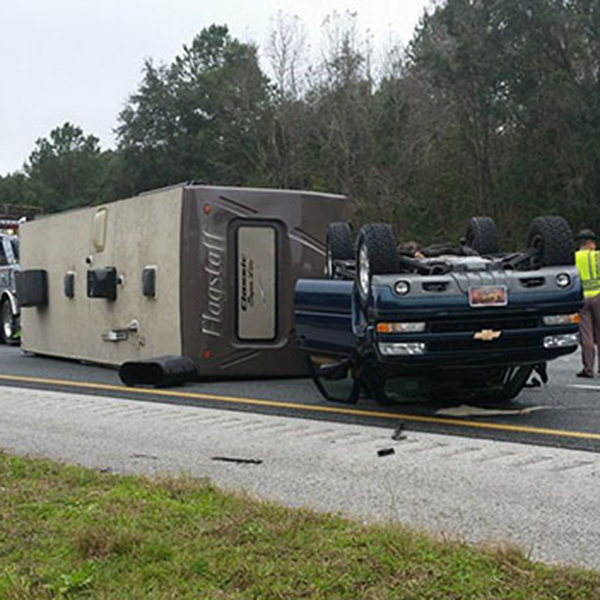 FWS assists all RV travelers, including truck camper owners, all who tow fifth wheel or gooseneck trailers, and conventional trailers such as bumper pull travel trailers, boat trailers, and utility trailers, as well as motor coaches towing a car or trailer. The RV Weight Safety Report App is our industry-leading 13-point weight safety report for fifth wheel or gooseneck trailer owners, and it's available for most mobile devices. Fifth Wheel Street is 100% independent and has no sponsors. Podcast 207: October 2018, Fifth Wheel Street's founder was interviewed again by Greg Gerber. Podcast 98: April 2016, Fifth Wheel Street's founder was interviewed by Greg Gerber, the founder of RV Daily Report. Note: Greg reported that this podcast is the most downloaded interview ever. Almost an endorsement! The RV Tow Check App was announced in the weekly RV Dealers Association News Brief. Step 1: Choose, print and provide answers on the appropriate worksheet. Step 2: Weigh your vehicles. 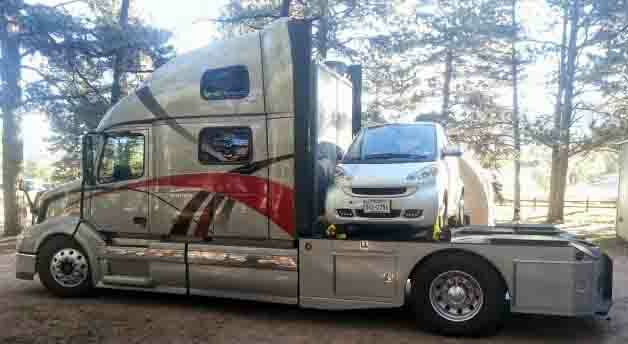 Once with the trailer or other towable attached, then the tow vehicle without your trailer or other towable attached. Step 3: Enter the data from your worksheet into the RV Safety Report Calculator. Step 4: Adjust load distribution and inflate tires per tire load inflation recommendations. Are you towing below the ratings? The RV Safety & Education Foundation data indicates that 57% of all RVs on the road exceed one or more weight safety ratings. Ensure you're not the one exceeding a load rating. Use our easy 4-step weight safety plan. How likely will these trucks be overloaded by a 5th wheel trailer? The answer may be jaw dropping for some. Check out our 2018 tow rating charts showing some of the most popular truck brands and models used for towing. 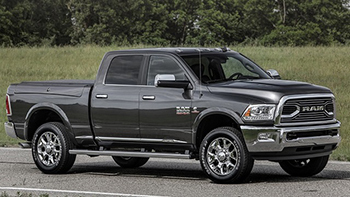 In recent years, the big three pickup truck makers have really made waves with the high payload and towing capacities. Additionally, the cost of buying these big one ton trucks have skyrocketed as well. For most RVers, the cost of medium duty trucks (MDT), even used ones, are hardly affordable. As you will read in this recommended article, a used and well maintained HDT can be the lowest cost to buy, and it's certainly the safest to tow any RV trailer available. Considering an HDT is a viable option. Read more here. Is it possible to tow 5th wheel trailers with these light duty trucks and not exceed the weight safety ratings? Or may cause you to gasp. Check out these 2018 tow rating reviews for five commonly used half-ton truck brands. The Automated Safety Hitch System Saved Lives! Joe Jamieson, the inventor of the Automated Safety Hitch System and owner of the manufacturing company, shared his hair-raising story of the accident he and his production manager experienced in June 2018. Read more here. Less than 25 seconds of trailer sway can cause loss of control which could end up causing serious injury or death. Learn what you can do to pervent and and hopefully stop trailer sway before ending upside down on or off the highway. Read more here. There has been much controversy over the use of air springs along with a weight distribution system (WDS) when towing conventional trailers. Let's look into some insight that may not have been considered. 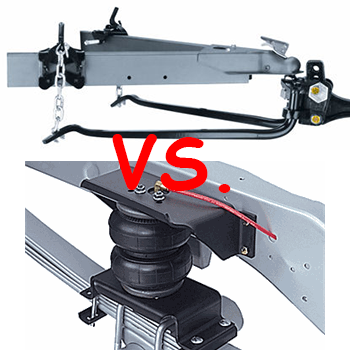 There are way too many conventional trailers becoming detached from the hitch ball while in tow. 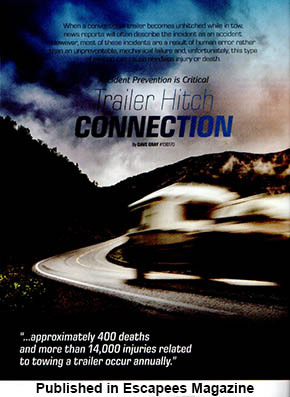 Many of these detached trailers are killing people. Education and application will prevent serious injury or death. ©2011-2018 Fifth Wheel Street and Fifth Wheel St. All Rights Reserved. Use of this website constitutes acceptance of the Privacy Statement and Terms and Conditions of Use.